Chris Ruane MP revives a twenty year cycle route dream. As reported on the 13th June 2018 in the RHYL JOURNAL, a scheme is being promoted to provide the missing link between Rhyl and Kinmel Bay cycling routes. It promises a low-cost boost to jobs, education, tourism, health and transport. Plans to restore a railway bridge at the Foryd Harbour for cyclists have moved forward following a meeting between Vale of Clwyd MP Chris Ruane, AM Ann Jones, Denbighshire County Council, Conwy County Borough Council, Network Rail and representatives of the Marsh Tracks cycling circuit. Mr Ruane said “Network Rail are very excited about the potential of breathing new life into the bridge as well as deprived parts of both towns. Currently there is no purpose built route across the railway for cyclists. Mark Allen, a voluntary director of Marsh Tracks and development team leader for Welsh Cycling, said:”I’m delighted to see plans progressing for the extension of the existing cycle path over the old railway bridge and Chris Ruane’s help has been very much appreciated. Link to the UK network. 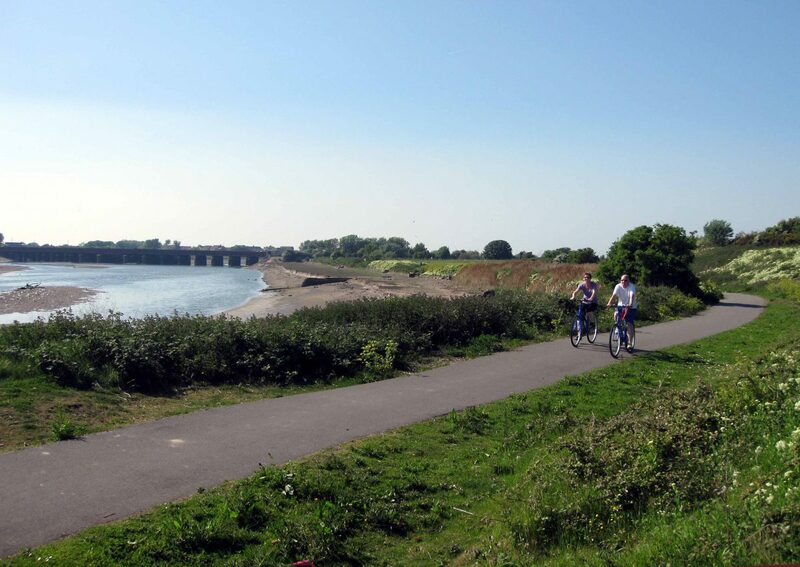 The renovation of the bridge would also link up coastal cycling path – which runs from Talacre in Flintshire to Bangor – with the cycling infrastructure south of the railway line. This includes BMX, road cycling and mountain biking tracks at Marsh tracks and a cycling route which runs from Rhyl to St Asaph via Rhuddlan alongside the A525. 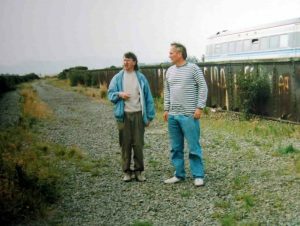 Reinstating the railway bridge into use has been a pet project of keen cyclist Mr Ruane for 21 years. 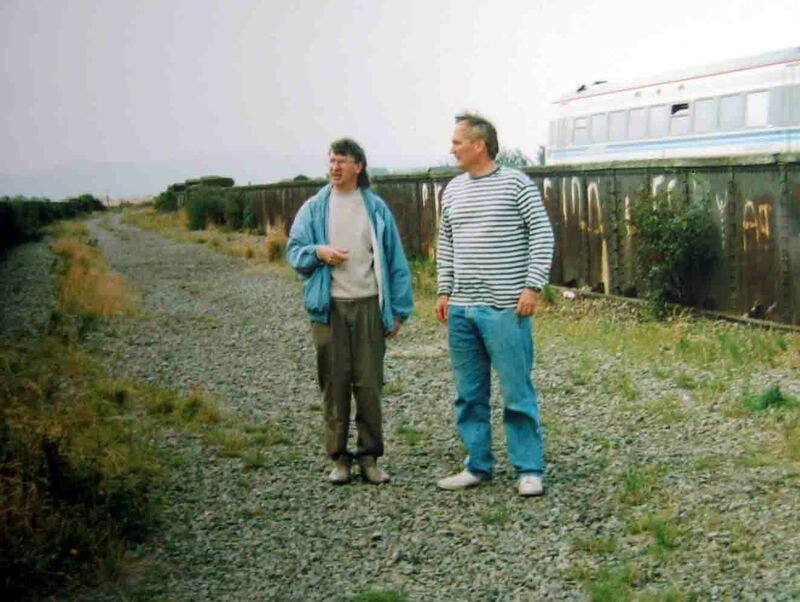 Stephen Holt of the former Clwyd Community Routes Association examined the bridge with Chris before he became an MP. Photo Roy Spilsbury (CyclingUK) the 3rd member of the team. He added: “We all had a meeting five years ago, but it didn’t seem to go anywhere. “I decided to approach Network Rail again and highlight all the wonderful cycling facilities we now have on either side of the railway and they are now much more excited about the project. 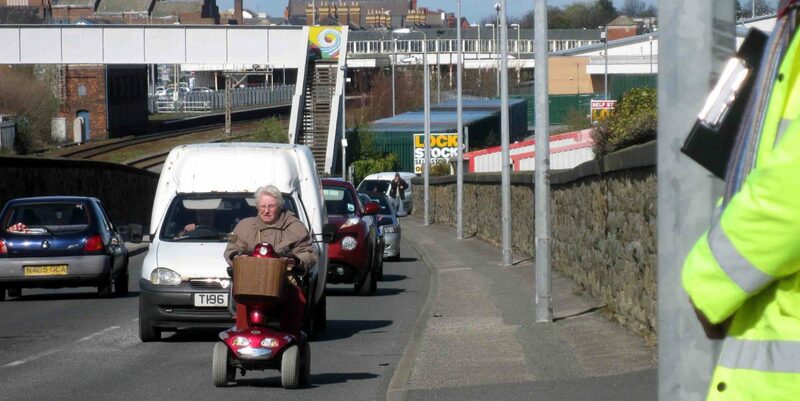 “We have wards in Rhyl with massive physical and mental health inequalities, which could be improved if people had easier access to facilities that are currently being under utilised because of the ‘block’ presented by the railway. Engineers from Network Rail, Conwy and Denbighshire councils will now ascertain the current condition of the bridge. Sam Hadley, senior public affairs manager for Network Rail in Wales and Borders, said: “The site meeting was very positive. “Everyone agrees there’s potential for a fantastic scheme, connecting communities in Rhyl and Kinmel Bay, and building on the fantastic opportunities for cycling and leisure in the local area. Chris Ruane and those exploring the feasibility of this visionary notion deserve every support from the public. If Welsh government’s Active Travel policy is to mean anything, funding should be no less readily available than the vast sums poured into our road network. The UK is barely on the threshold of what has been achieved in the Netherlands and elsewhere. With the launch of Pont y Ddraig cycle bridge nearby serving National Cycle Route 5 along the coast, Denbighshire has already proved its credentials to deliver excellence when it has the political will.